Austin has one of the worst traffic problems in the US, which won’t be a surprise to anyone who’s been here for more than five minutes. 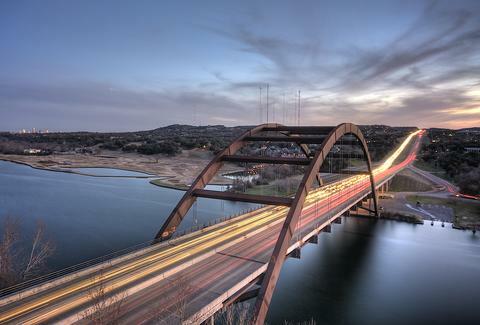 Texas A&M recently ranked Austin as having the 10th worst traffic in the US, and the Texas Department of Transportation named the Austin stretch of I-35 as the worst traffic in Texas. Clearly, those Aggies and Libertarians are just jealous, and trying to give Austin a bad name... right? Well, in 2012, INRIX ranked Austin as the fourth worst congested city in the US, while costing the state over $201 million a year. Think about that the next time you’re sitting in rush hour traffic on the 35. That is, if you can stop your blood from boiling. Austin hates traffic! We hate it so much that 83% of residents stated that it was our city’s most pressing issue -- even more than skyrocketing rents. Even Will Wynn, Austin’s former mayor, once got out of his car to yell at an 18-wheeler that was blocking Fifth St during rush hour. I’m sure that you wouldn’t blame him. So if Austin hates traffic so much, how did we let it get so bad? Just like everything else in the Violet Crown, it all comes down to one thing: poor planning. Originally, Mopac and I-35 were always small parts of a much bigger plan to create an inner-city freeway network. Even back then, no one wanted to move out of central Austin, and so the plan was scrapped. Great job, guys. And have you ever noticed that going North-South, even if it means hacking through the concrete jungle, is a dream compared to traveling East-West? And that I-35 is in a really weird place, considering that it should be feeding into our central business and university districts? That’s intentional, through some less-than-subtle segregationist policies that would put a clear divide between White neighborhoods and Black and Hispanic neighborhoods, making it difficult to travel from one to the other. This is subsequently how you wind up in bumper to bumper traffic on Saturday night on E Sixth St.
Then NAFTA rolled around, and Austin became one of the major thoroughfares for Mexico-Canada shipping, adding even more congestion to an already-at-capacity freeway system. Don’t worry, we can still blame the Californians. Austin is booming faster than any other American city (6.1% economic growth over the past five years), and our legendary music culture has been attracting new residents from all over the country. Big traffic is an indicator of big money, and with over 110 music-loving tech-entrepreneurs moving to Austin every day, it doesn’t show any signs of slowing down. “Year after year we see one theme that continues to resonate, our growing communities and worsening traffic congestion… call for a variety of solutions, ” says Marc Williams, deputy executive director for the Texas Department of Transportation. Over the years, we’ve certainly tried a variety of solutions. CapMetro used to have free transportation options. But, as they serviced mostly UT students, who prefer to walk or drive, there was little usage. Eventually, they were cut, in favor of MetroRail and MetroRapid. The lights Downtown sync up beautifully, and let you power straight through the heart of the city, if only we had enough people to staff them. And you know that empty toll road that you pass every time you’re coming back from Dallas? That was built as a shipping bypass, but nobody wants to spend $10 to avoid an hour’s worth of traffic. 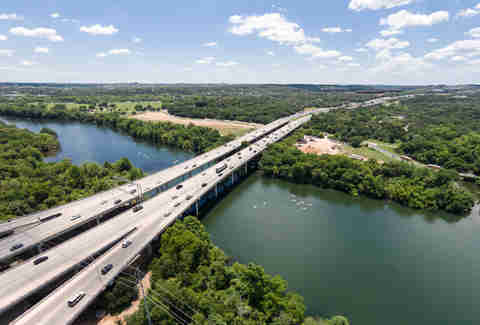 Since 2012, Frog Design has been trying to convince Austin to build sky gondolas, like you’d find at Six Flags, to jump over congested areas. It seems like they’ve lost momentum since the Rail and Roads fund was defeated. But, we can all agree, that’d follow suit with keeping things weird. The biggest, and most recent, change to Austin’s transportation system has been the introduction and removal of Uber and Lyft. In theory, these services would take passengers to and from high-traffic destinations. However, Nate Silver’s FiveThirtyEight tells a different story. Instead of reducing traffic, for-hire drivers flood busy areas like Downtown and Sixth St, making congestion much worse. The effect on traffic has yet to be seen, but a shift back to public transportation would be good for the city’s traffic plans. So what can be done about Austin's traffic? 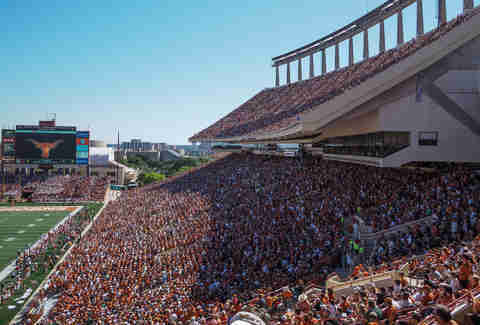 Widening the 35 has been pitched time and again, but displacing all the businesses and university buildings alongside the freeway would cause an uproar -- you try telling UT that they need to move their $4 million stadium. 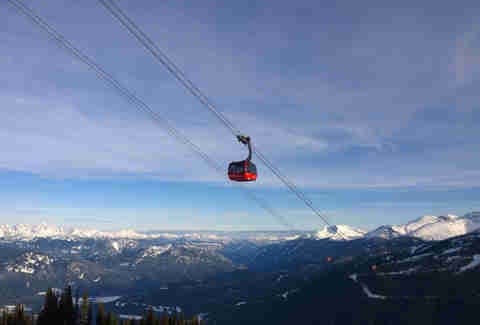 I’ll be watching from the safety of my sky gondola. And some believe that by adding more lanes, we’d just be adding more congestion as the 35 becomes the most attractive option in town. Why don’t we just blow the whole thing up, and bury it underground? That’s actually an idea that’s gaining a lot of support from both Austin residents and the Department of Transportation. The popular “cut and cap” solution would create an underground highway system, reducing the shipping traffic on the streets above and alleviating gridlock. Any open space created by this project would be allocated to public parks. It’s ambitious, to be sure, but imagine the epic Eeyore’s Birthday Party that we’d be able to throw! Frank Netscher is a freelance writer based in Austin with a hunger for transportation engineering.